Britannica Insights is available for download at http://britannica.com/insights​ and delivers on the promise, “Save time. Learn more. Be sure.” Watch the video here. 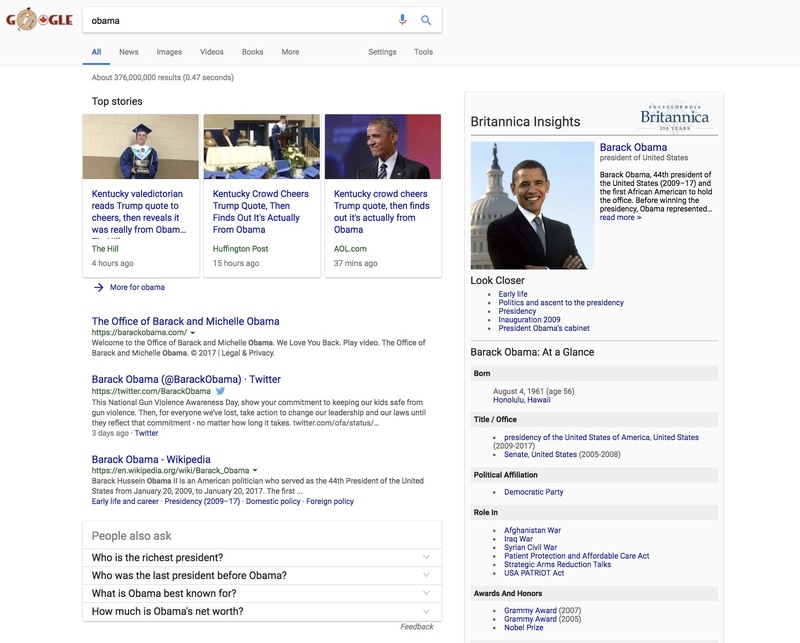 Britannica Insights works with major search engines – Google, Bing, Yahoo, and others – on the Chrome browser. 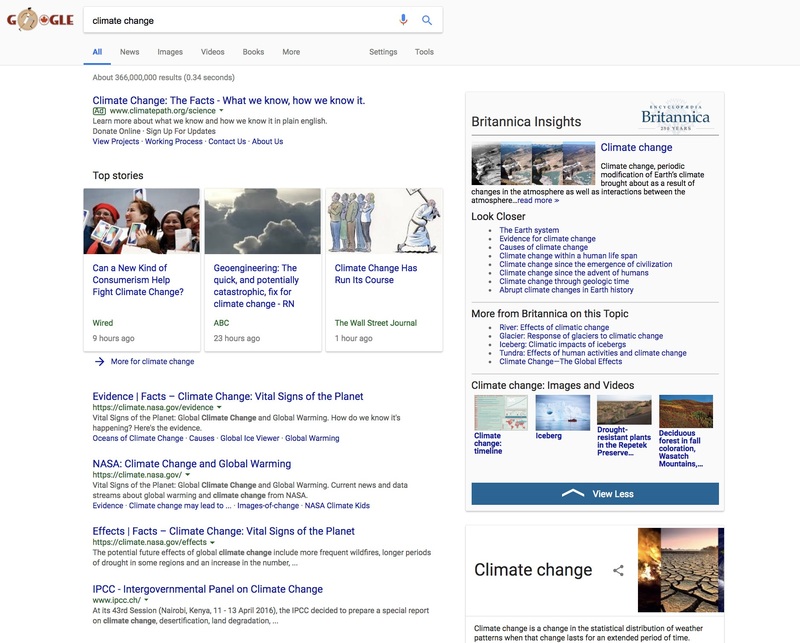 A search on “climate change” presents both quick facts as well as a “deep dive” into coverage of climate change through geologic time and the impact of climate change on rivers, glaciers and icebergs. Britannica Insights is the latest resource in the toolbox. Another recently launched initiative, Demystified, provides engaging and revealing answers to commonly asked questions such as: What’s the difference between veins and arteries? How does the U.S. Electoral College work? Does listening to Mozart in the womb really make babies smarter? Britannica also makes it easier for young learners and non-native English speakers to look up word definitions without leaving the page by linking hard words to definitions from Merriam-Webster, a sister company. “The first sentence on the first page that Britannica published in 1768 says, ‘Utility ought to be the principal intention of every publication,’ and this imperative to meet the user’s needs is more important today, in the digital world, than ever before. The media we work in may have changed, but our mission has not,” said Krishnan.